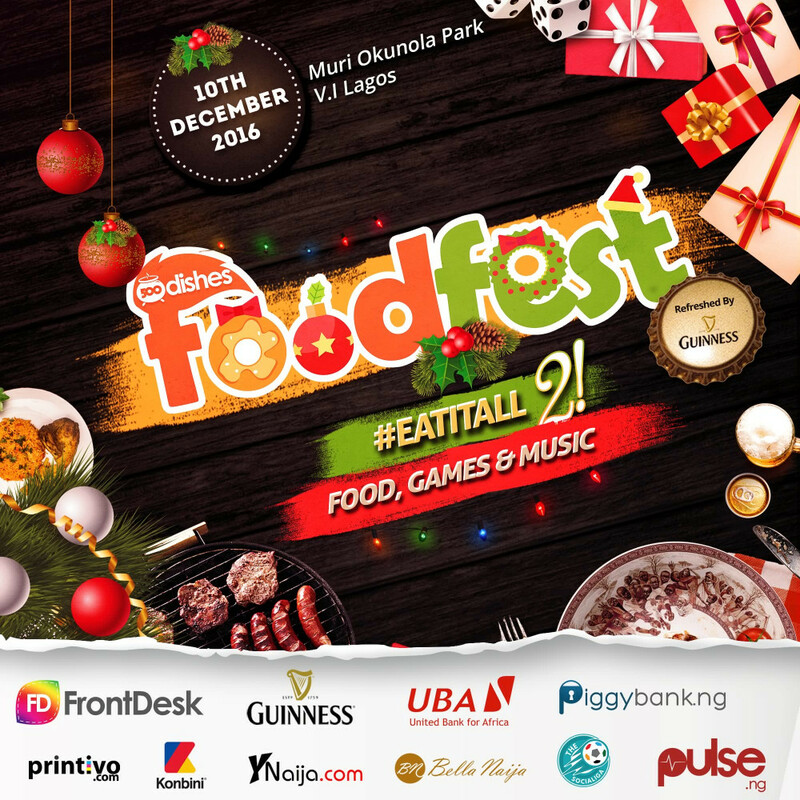 The Christmas Edition of the foodfest is set to hit the beautiful city of Lagos this weekend. Venue: Muri Okunola Park, Victoria Island Lagos. With over 40 meals to choose from, this one promises to be even bigger and better. From African Salad, Isi Ewu, pepper soup and Nkwobi to beef tacos, burgers and Sharwarma from 01 Sharwarma. There’s also a fun corner with board games, Karaoke, Bouncing Castles and Table tennis, then the hunger games and loads to drink. Get ready for the biggest Food Festival Lagos has ever seen! Drinks are sponsored by Guinness African Special. Grab your tickets now: foodfest.com.ng!